21Mbps MiFi is a compact size pocket router with LED display ideal for travel users. Now surf Internet anywhere and anytime with 2G / 3G network. iBall Baton MiFi Router is works on 2.4GHz Wireless frequency with a working time of 4~5 hours (on 3G) & standby time of 16 hours. We are amongst the most reputed names in the industry, offering Pocket Router. - HSPA/UMTS 2100MHz, EDGE \ GPRS \ GSM 850 \ 900 \ 1800 \ 1900MHz. - GSM SIM card slot. - Data Transmission: DL14.4 Mbps; UL 5.76 Mbps. We are one of the most prominent manufacturer and supplier of the Pocket Router. This product has been of the superior quality and of wide use. - DWR-113 is a WiFi 150N pocket router, it supports 3G dongle up to HSPA+. 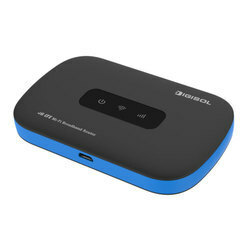 - The router features includes NAT, Routing, Firewall, VPN pass-through, WPS, Auto-3G-Dial-Up Backup Connection, DHCP Server and so on. D-Link DWR-510 is a 3G pocket router and dongle, it is slim and small enough to carry in your pocket. It allows user to take full advantage of HSUPA-complied 3G network for portable use any where or anytime while on-the-go. 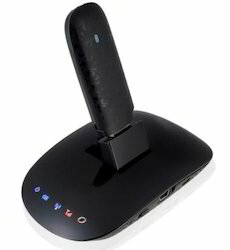 BR-6258nL N150 Wireless Travel Router. We using best in class raw material and is highly loved by our customers of all age groups. The offered range is available with us at a nominal price. Internet today is a must-have travel companion and every possible gadget is Wi-Fi enabled. However, when you are travelling in a group and need connectivity on the go, it is best to get a Wi-Fi router and create a hotspot so that that it can connect multiple devices at one go. - 21Mbps MiFi is a compact size pocket router with LED display ideal for travel users. Now surf Internet anywhere and anytime with 2G / 3G network. iBall Baton MiFi Router is works on 2.4GHz Wireless frequency with a working time of 4~5 hours (on 3G) & standby time of 16 hours.